Devan was born and raised in the Upstate of South Carolina. After high school, he attended USC Upstate from 2007-2011 where he earned a degree in biology. While there, he met his wife, Lindsay. He took a year off between college and dental school and worked in the lab of a paper mill. 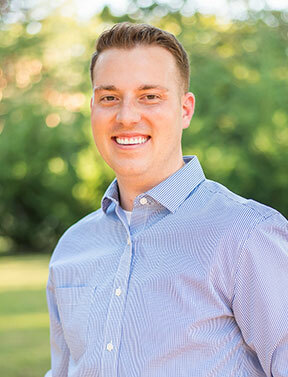 Devan attended dental school at the Medical University of South Carolina and received his Doctorate of Dental Medicine in 2012. Towards the end of dental school, he and his wife had their first child, Bowen. Following dental school, Devan furthered his education by earning a residency position at the Mountain Area Health Education Center (MAHEC) in Asheville, NC. Devan, Lindsay, and their son Bowen are now happy to be back home in the Upstate of South Carolina. They recently purchased a home in the Duncan area, which is the midway point between his wife’s job and his practice in Mauldin. His wife works as a pediatric nurse at Spartanburg Regional Hospital. When he is not chasing around their toddler, Devan enjoys watching football and being outdoors. ​Especially when it involves water. He also enjoys reading and listening to music. He is excited to be a part of the Family Dental Health team and serving patients in the place he calls home.